Play for Real Therapy Services will be closed on Thursday November 23rd and Friday November 24th to celebrate Thanksgiving. We are grateful for the privilege of working with our clients and families and to our dedicated staff! We will be open for business as usual on Monday November 27th. We hope you all weathered the storm safely and with minimal damage! Play for Real Therapy Services will be open with a limited staff on Tuesday, September 12 and may offer some sessions in the afternoon as clients and staff are available. We will be open as usual from Wednesday September 13. Once again we hope you all fared well and look forward to seeing you all again as things get back to normal. Play for Real Therapy Services will be closed Monday and Tuesday, September 11 and 12 while the storm passes over us. We tentatively plan to reopen on Wednesday September 13, assuming that we have electricity and there is no major damage to the clinic. If you have an appointment on Wednesday or Thursday and we have not contacted you, please call ahead to check we are open. We will try to keep you updated via the website and our voicemail. We wish you all the best and please, stay safe! Play for Real Therapy Services will be closed on Monday September 4th in observance of the Labor Day holiday. We will open as usual on Tuesday September 5th. Schools will soon be back in session and children wearing backpacks to and from school will be a familiar sight once more. But did you know that heavy backpacks can cause long-term health problems if worn incorrectly? Here are some backpack safety tips to help your child. Appropriate size. Make sure the height of the backpack extends from approximately 2 inches below the shoulder blades to waist level, or slightly above the waist. Shoulders. Backpacks should have well-padded shoulder straps that can be worn on both shoulders so when packed with books, the weight can be evenly balanced by the student. 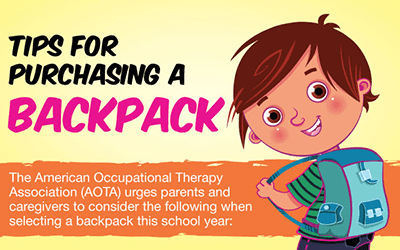 AOTA also recommends that, when school is back in session, check that your child’s backpack weighs no more than 10% of his or her body weight. If it weighs more, determine what supplies can stay at home or at school each day to lessen the load. If the backpack is still too heavy for the child, consider a book bag on wheels. We wish you a very happy and safe celebration! At the beginning of this month, it was our pleasure to spend a few days doing a research mentorship at the Star Institute for Sensory Processing Disorder in Denver. We were a small group, with ten other occupational therapists (OTs) who also shared an interest in research. 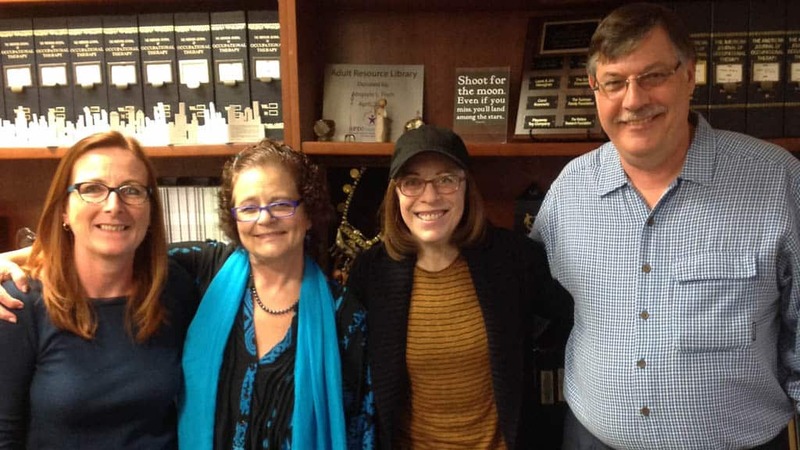 The focus was on single subject research design with input from Lucy Miller, Sarah Schoen and Dr. Stephen Camarata (not pictured) from Vanderbilt University. It was a packed itinerary and the energy was high, with a lot of stimulating discussion with our colleagues. We all learned a lot and came away with a commitment to complete a study on an aspect of sensory processing disorder over the next year. We are happy that Lucy will be providing direct support as we plan, implement and complete our study. Lucy Miller’s goal is to get enough studies to be able to put together a book and perhaps include a chapter with studies involving DIRFloortime. 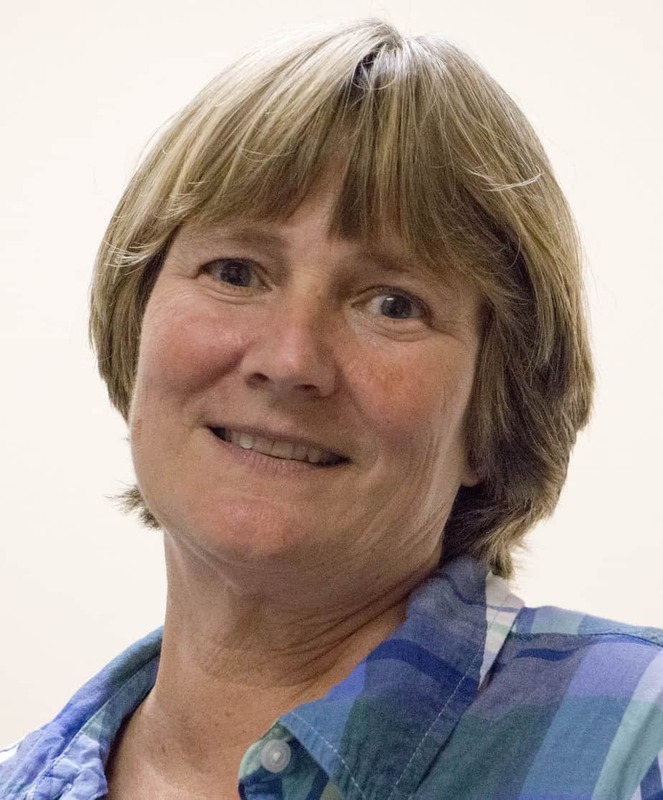 Dr. Lucy Miller is a world-renowned occupational therapist and specialist on sensory processing disorder. She has written many books, including Sensational Kids: Hope and Help for Children with Sensory Processing Disorder. The Star Institute attracts clients from all over the world and, in their entrance lobby, they have a map of the world with many, many pushpins indicating all the places that their visitors have come from. While we were there, Lucy gave us a personal tour of the incredible research and treatment center. There are many specialized treatment areas including several sensory gyms, feeding therapy rooms and a treatment area specifically for older children and adults. Last but not least, they have an amazing sensory-based playground and garden. As clinic owners with dreams of our own, we were truly inspired! 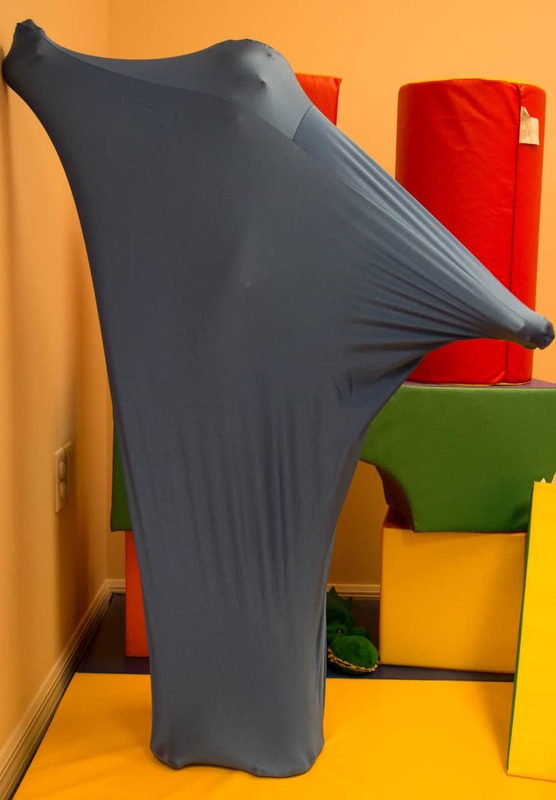 Pediatric OT and SLP positions at Play for Real Therapy Services! Play for Real is pleased to announce that we are expanding our services this year. As a result, we will have pediatric OT and SLP positions opening up as we grow. Initially these positions will be part-time and PRN, but full time positions may be available in the future. Although our focus is currently on OT and Speech services, we hope to include other disciplines at a later date. Play for Real Therapy Services offers quality occupational therapy and speech-language therapy using a family centered and evidence-based approach. Our treatment models include DIRFloortime, sensory integration, the SOS (sequential-oral-sensory) approach to feeding, integrated listening (iLs) and pediatric massage. If you are interested in joining out team, then please contact us using the form or phone number on the Contact Us page of the website. We look forward to discussing what you are looking for and finding out if we would be a good fit for each other.